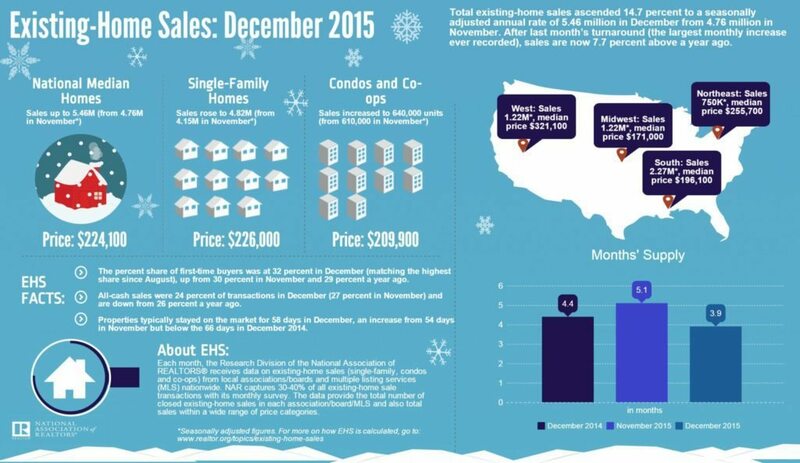 Total existing-home sales rose 14.7 percent month-over-month in December 2015 (on a seasonally adjusted basis). The median existing-home price for all housing types in December was $224,100, up 7.6 percent year-over-year. Total housing inventory was 1.79 million existing homes for sale, down 3.8 percent year-over-year.